Nielsen Ranks No. 3 in the World! - Nielsen Construction California, Inc.
Nielsen Ranks No. 3 in the World! Before most of the UCSD Geisel Library occupants were even thought of, young D. Nielsen Pollock watched his Grandfather, S. Faulk Nielsen, build what is now known to be the “Third Most Beautiful Libraries in the World,” according to CNN Travel. 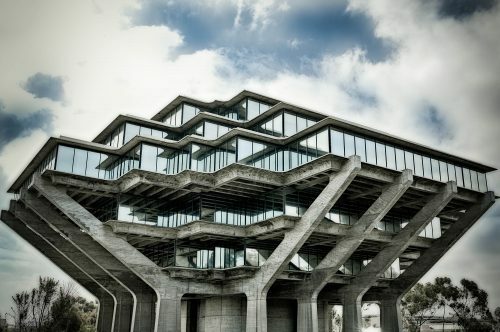 Although this gorgeous library never made an appearance in Men In Black or Independence Day, we couldn’t be prouder to claim the Geisel Library as part of Nielsen History!